Simon Limbrick's involvement in music embraces performance, composing and education. He was a member of the systems orchestra The Lost Jockey and Man Jumping, recording for EG Edition, Virgin Records and creating scores for leading dance companies. As a percussionist experienced in a wide range of genres, he continues to create music with artists across the world including leading UK ensembles such as Alabama3, Apartment House, Birmingham Contemporary Music Group, notes inegales, Gavin Bryars and Pete Lockett. He is featured on recordings on Blue Note Records and ECM amongst others. He has premiered many new pieces and commissions, many composed for him, including works by Javier Alvarez, Brian Elias, Vic Hoyland, Philip Cashian, Andrew Poppy, Howard Skempton, James Dillon, Frederic Rzewski, Claude Vivier, Thea Musgrave, Harry de Wit, Michael Wolters and Ed Kelly. 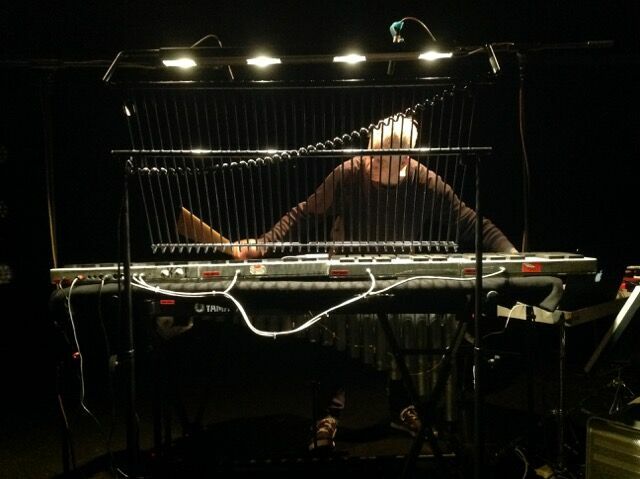 An extended durational piece lasting up to 24 hours, surfaces, was created in 2011 in collaboration with the composer James Saunders and with support from the ACGB, then performed in Norwich, Aldeburgh, hcmf and broadcast simultaneously as a live web-stream. In 2013, he was in-residence at the Yehudi Menuhin School and coached young musicians in the celebrations of Britten’s music at Aldeburgh. He has produced ten solo CDs, the most recent being ‘Relay’, a double CD of contemporary steel-pan music, which are frequently broadcast and available on well-known download sites and is currently researching the topic, ‘ An Evolving Performative Locus’ for a PhD at Middlesex University. Sound Composer for the film 3 Church Walk , nominated for AHRC Award October 2015, directed by Emily Richardson. Six short performative films are now viewable on his Youtube channel. His percussion playing is featured on two CDs of music by Linda Catlin-Smith, performed with ensemble Apartment House, that have been listed as albums of the year in 2016 and 2017, in the UK and around the world. He performed he UK Premiere of Pierluigi Billone’s ‘Mani de Leonardis’ at the London Contemporary Music Festival in December 2018.